I may not agree with what you have to say, but I'll defend to the death your right to say it. 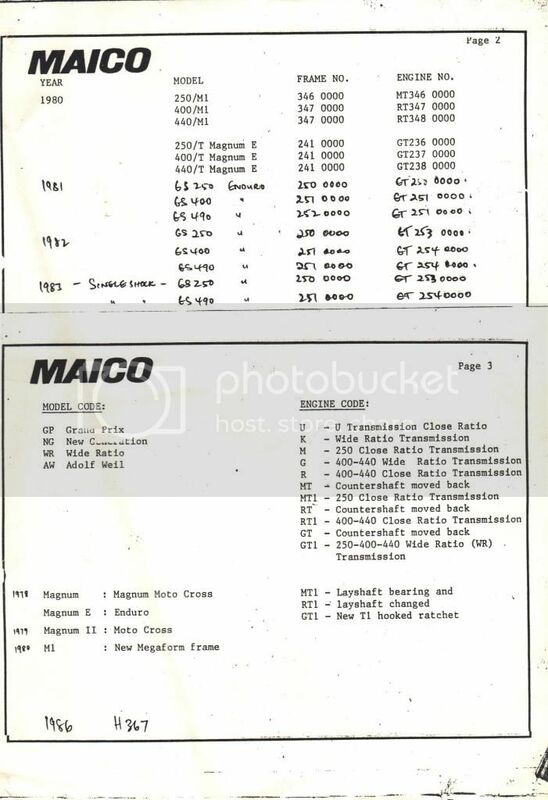 Hey Tim whats the best way to go about getting a copy of a manual for the Maico SC 500 1984? 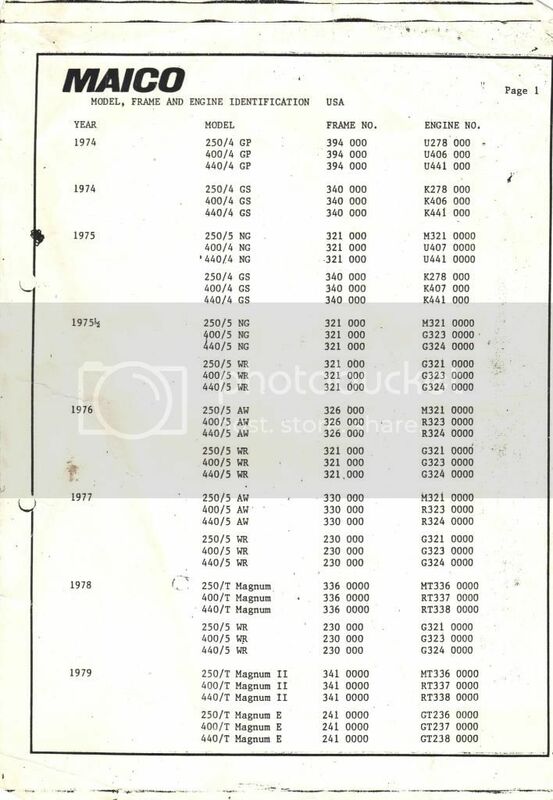 Shelpi the best I have is ' MAICO-MC-250-400-440-501-(FROM 1974)-INSTRUCTIONS BOOK-SERVICE MANUAL-E' (yes in English ) as a PDF file of about 11.9megabites. PM me an email address and I will bung it off to ya. Thanks Tim, very much appreciate it, but any idea where to get that pesky spyder manual? Nope is an elusive beastie. Don't think there was ever one, I received a '83 manual with my '84 500 when I bought it new...there is no difference besides tank and sideplates. Not even 10cc, both where 488.
so it was just a sidecover (number plate) change ?